It’s been three months, I know. But don’t worry, I’m alive. It wasn’t writer’s block. It was just probably a combination of work and travel. Whizzing through South Sudan, Uganda, Qatar, and Vietnam in a span of three weeks siphoned the air out of me, along with what’s left of my creative juices. So I temporarily abandoned blogging, though I still have a hundred stories to tell. But I don’t know how to start. Now I’m in Uganda, plotting a solo backpacking trip to MasaiMara in Kenya (one of my dream destinations), as the boyfriend leaves me for work in Nairobi. And it just hit me that around this time last year, Pinky and I were all geared up for our first backpacking trip in Southeast Asia! Anyway, Dilman thinks I won’t manage backpacking alone, but his fears remind me of the first time I travelled outside the Philippines. The one that probably kick-started my urge to hit the road. This was China—2008. Just before I went to Ethiopia. A friend who was studying in Guangzhou invited me to visit. So since I had time to spare (as I just resigned from my job) and just received my last salary from the publishing company, I used most of the money to buy me a return ticket and kept the remaining 200 USD for my pocket money. “Two hundred dollars?” you ask. Yes, and it was stupid of me to go around China for two weeks with that much in hand. 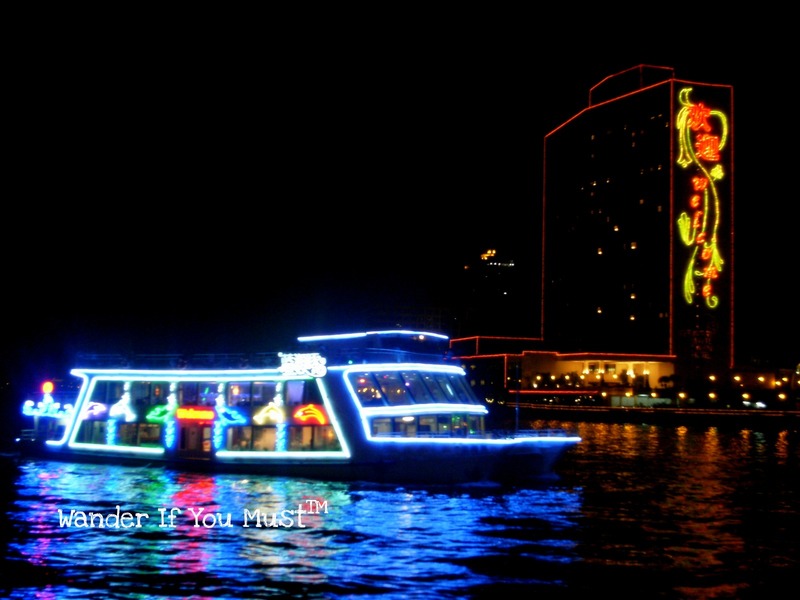 But Guangzhou was just too tempting, and the Pearl River night cruise was just something I couldn’t resist. Now, this is the tricky part about travelling to a strange country. Since I was going to mainland China, I passed through Macau because it was the cheapest alternative. And the moment I landed, I knew I was in serious trouble. No one spoke English. Everything was written in Cantonese. I couldn’t even read the signs and know where the toilets were! Luckily for me, I had a camera, a pen, and a notepad. If I wanted something, I would take a picture of it and show it to the people around so they could understand. Sometimes, I would draw it. 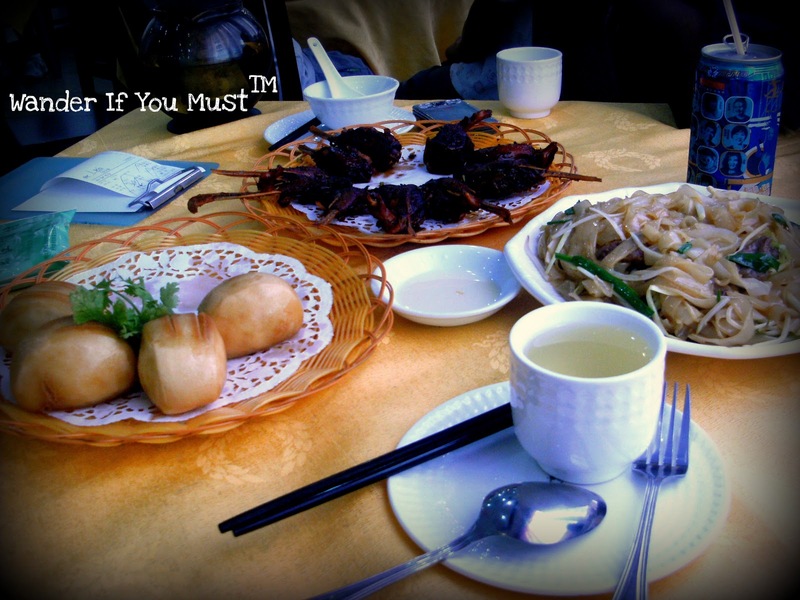 Like one time I was in this local restaurant and I wanted a fork, without realizing that in China no one uses forks—only chopsticks. It took me around ten minutes of playing charade! And when I was nearly over the edge in frustration, I drew a picture of a fork and a spoon. My god! You’d think I’d drawn an alien—okay, so I’m not really da Vinci. The waiters couldn’t figure out what I had drawn, and caused some kind of panic in the restaurant. It took another customer (who looked like Lao Tzu) to restore order when he figured out what I wanted. It was one of those light-bulb moments and they went “ah,” nodding their heads and hurrying away with their little feet to bring my order. Fork and spoon—one can never go wrong. Well, you might have thought that since they now knew I would be eating using a fork and a spoon, they wouldn’t bother bringing over the chopsticks. But they did. And they brought me a bowl with tea in it. I looked at the tea, and thought it was a freebie. So I drank it, like a demure Chinese lady. But the waiters soon ran toward me, alarmed and disgusted! How could I drink that tea? It wasn’t meant for drinking, it was for washing the chopsticks! Silly Pinay. Well, the food came, but not the forks, I had to wait over an hour before the fork finally arrived and then I ate cold rice. I resumed my travel to mainland China, to Guangzhou to see my friend. But being a foreigner herself, and considering the pains of Immigration, we agreed that she meet me at the Macau-China border instead of her picking me up at Macau airport. Oh my! It was like a walk through Mars. No one spoke English. And unfortunately for me, I could not take a photograph of the border so people could show me the directions to it! Since nobody was willing to talk to me, I blindly hopped on a bus (after a janitor at the airport pointed it to me) but didn’t know where I was going, or if I had already passed this mysterious landmark they called Gongbei Port . I was itching to ask questions, as I often do when I feel lost, but every time I tried to open my mouth, everyone seemed to act busy—fidgeting with their phones, looking at a book, or suddenly dozing off. So I sat on the bus, reciting a novena to the saint for desperate cases, until we came to stop in a bus park in a tunnel. Now I’m claustrophobic. And here was the bus stopping in a tunnel, and I don’t know where the exits were. And everyone was chattering like Cantonese parakeets. Panic. Panic. And I was nearly becoming hysterical. But like in the fairy tales, a little girl popped out of the blue. She could speak English. Well, some English at least. She tried to give me directions to the border but I couldn’t understand her. 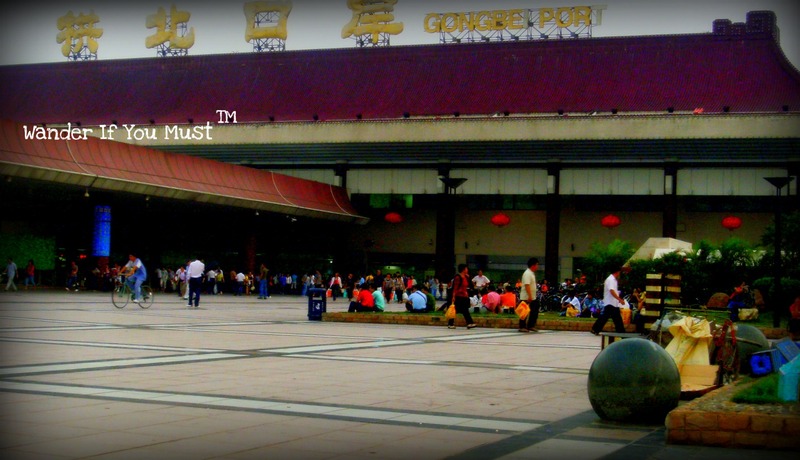 Finally, she said, “Come, I take you.” And I followed her out of the underground bus park to—viola!—my sweet Gongbei. Crossed over from the other side. I thought my troubles would be over by then, but that was just the beginning of my misadventures. There were lines and lines and lines and lines of people—it seemed like a million Chinese where speeding from one side of the border to the other, randomly, and I didn’t know which line to join in. It’s like being caught in the middle of an eight-lane road, only that the cars are going too fast for you to even know which directions they are speeding to. So I closed my eyes, and allowed myself to get swept by the crowd to a random line in Immigration. After what seems to be an eternity of queuing, I was told it was a Chinese-only line. Of course, no one could speak English, so they didn’t really tell me I wasn’t supposed to be on that line. Everyone else was showing off a pass—a Chinese pass like a credit card, and with my passport, I couldn’t get over this line. I took another line at random, clueless, because it was a very short line and I thought I wouldn’t spend a long time in it, and yes, it was for foreigners, but it turned out it was only for diplomats. So I got kicked off again. Finally, I saw a group of Africans, and I followed them and somehow got myself to the other side. My friend was, of course, so worried about me. We had more trouble, trying to find a bus to our hostel, for she did not speak good Cantonese. How we got into the right bus was a miracle. We reached my friend’s apartment in one piece, and I managed to crash into the place for four days until the management kicked me out, suspecting me to be a spy and all that drama! I will have to write about it another time. Nobody wanted to talk to me! But one never learns. Despite my travel mishaps, here I am again, planning on another solo trip in a strange land. Well, at least people speak good English in most parts. And hopefully, I won’t get lost or kicked out this time ‘round. wow reiza! go for more! brave and courageous! So many stories to tell…so long as you have that, you won't run out of steam, Reiza. Just come up for air once in a while (even though it's 3 months long…we, your fans, will be here waiting). Ah, the travails in travel. Actually, I enjoy being in a country where English is not commonly spoken. It gives the experience an otherworldly dimension to it. I lived in China for more than 2 years and language barrier was a challenged I enjoyed overcoming every day, haha! @AJ: Hahaha! AJ, thanks for putting up with my irregular blogging. Somehow it's a relief to know that one of my blogging idols (and that's you) has also taken a blogging break. When are you going to Kenya? We're uhm 'sort of' planning to include it for this trip 🙂 But still weighing our options. LOL at your fork drawing. You should have kept the drawing as souvenir! Hi Gay, I was supposed to travel to Kenya next week but changed plans. I'm saving Masai Mara for the Great Migration in July/August—the best time to go. Instead, I am going on a short safari tomorrow in northern Uganda. I'm sure I won't be drawing forks this time. Haha! Nice blog reiza! More wonderful blogs. Wow–I can honestly tell you I would have had a meltdown going through what you went through–but brave Reiza you persevered and you made it!! YAY!! WOW, all I can say is WOW! Wow! You sure have traveled. Tomorrow morning, I am attending a teacher's conference to learn all about our Memphis in May honored country–The Philippines. @Jenn, I would've had a meltdown myself but didn't have time for it. 🙂 I will take care in my solo travels. Thanks. @Joyce: Would love to hear (or read) about the conference! Hello! My name is Reiza. I live to feed my wanderlust. I am a traveller, humanitarian aid worker, an aspiring filmmaker, and just your ordinary girl next door. 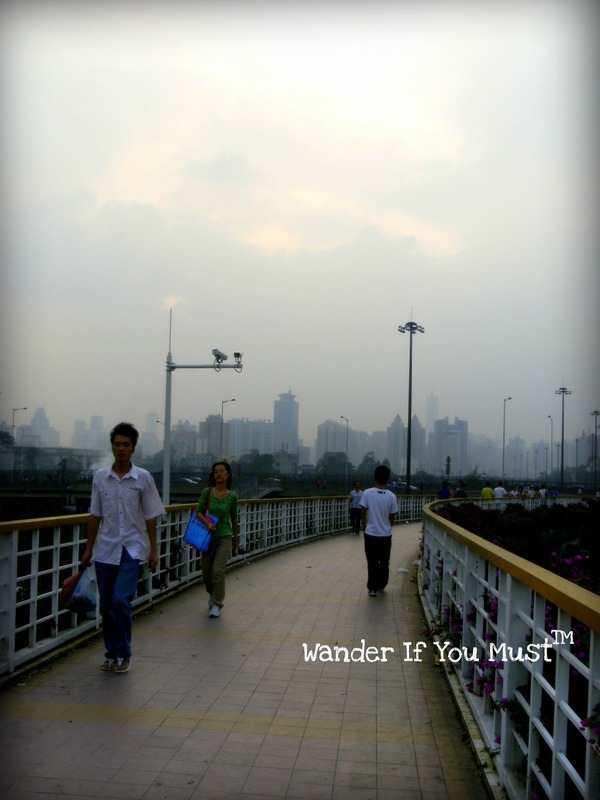 This blog is an account of real travel and work experiences with a dash of made-up stories in between. Come away with me!